Looking for new challenges and playing opportunities? 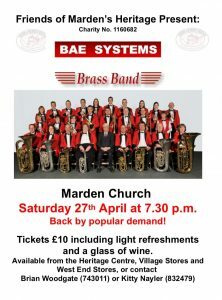 If you are, then BAE Systems Brass Band could be what you’re looking for! 3rd Percussionist/Kit player. Some tuned percussion experience an advantage. BAE Systems Brass Band (London and Southern Counties 2nd Section, scaba 2nd Section) rehearses on a Monday (twice a week leading up to contests) from 8.00pm -10pm at BAE Systems, Rochester. We undertake a variety of concert engagements throughout the year and several contests. Have a look around our website to find out more about us. If you are interested in one of these opportunities, contact us in confidence giving some information about yourself.